In less than two years, the multi-platinum Bronx native, A Boogie Wit Da Hoodie has become an imposing force in hip-hop, proclaimed the "most promising young rapper the city has produced in some time" by the New York Times. Today, he releases his debut album The Bigger Artist via High Bridge The Label / Atlantic Records. 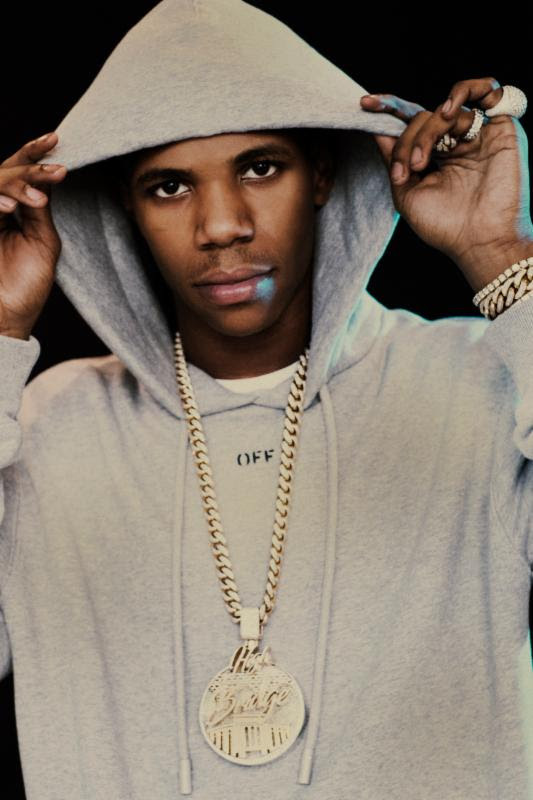 Forbes said that "A Boogie is 'no one hit wonder,'" and at the age of 21, having three Billboard Hot 100 singles proves them right. After he broke the ice with "Timeless" off of his TBA EP, "My Sh*t" became RIAA Certified Platinum and his smash hit "Drowning" feat. Kodak Black spent 21 weeks on the chart, as well as being RIAA Certified Platinum and streamed over 300 million times. The XXL Freshman's debut features a high profile cast of featured artists including Chris Brown, 21 Savage, Trey Songs, PnB Rock, YoungBoy Never Broke Again and fellow High Bridge The Label rapper Don Q. Production duties were executed by an eclectic group; Metro Boomin, Scott Storch, DJ Mustard, Murda Beats, Cardo and more. On September 20th, A Boogie teamed up with the Garden of Dreams Foundation and WHEDco (Women's Housing and Economic Development Corporation) to give back to his hometown, the Highbridge neighborhood of the Bronx. For the event, which was covered by NEWS12, COMPLEX, REVOLT and Mass Appeal, A Boogie gave kids in need from his community school supplies while hanging out, taking pictures and signing autographs. See a recap of the event here and NEWS12's coverage here. Earlier this week, the 21-year-old rapper celebrated THE BIGGER ARTIST with a special listening party for press, radio DJs & tastemakers. Yesterday, the 21-year-old rapper hopped on a double decker bus to take over NYC with a series of pop-up performances. There's no doubt that Artist Dubose was born to live up to his name. From being called "a key part of the revitalization of New York rap" by Forbes, to playing Jay-Z's Made in America Festival, to being brought out by Drake at his sold out Madison Square Garden appearance, the 21-year old with an affinity for euphony is on the brink of superstardom. Don't miss out on his full US Tour (full dates below).